Over the following ten days, in addition to an explosion of online support (apparently more broad-based and faster growing than recent comparable campaigns), dozens of supporters came in person to Pingshan from throughout the region. 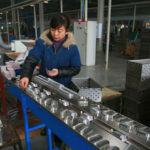 These included Shen Mengyu, the university graduate who worked on an assembly line at an auto parts plant in Guangzhou for three years until she was recently fired for trying to use the existing union there for collective bargaining. (See a translation of her story here, and a video of her speaking yesterday after being released from police custody while supporting the Jasic workers here.) The initial detainees were released, but after subsequent protests, they and others were taken into custody again on the 27th, this time being put under longer term detention as suspects for the crime of “picking quarrels and provoking trouble” (寻衅滋事罪)—the default charge Chinese police assign to dissidents while they’re trying to build a more specific criminal case. Today a list was released of thirty people still being held under this charge. Among these, seven were current Jasic employees, one was a student, and twenty-two were former Jasic employees and workers from other workplaces. In contrast with other recent cases such as the Eight Young Leftists (2017-2018), the Feminist Five (2015-2016), or the late 2015 crackdown on labor NGOs in the Pearl River Delta, it seems that the Pingshan Incident may bear some new features, suggesting new trends in dissident social networks and state dynamics of control, if not in broader class relations as such. Maybe in the coming weeks we can produce an analysis, or at least a more comprehensive account of this struggle and its significance. For now we would just like to quickly publish this translation, by our friend Wen, of two brief documents in the hope that doing so might support the prisoners and their struggle somehow: the workers’ original petition to the Shenzhen government from July 23rd, and an open letter by several famous leftists who formed a Jasic Workers Solidarity Group, dated July 28th, which over 1,200 people had signed by July 29th. For more background on this struggle in English, see “Shenzhen worker activists determined to unionise despite dismissal” (CLB, July 24th), and this petition initiated by academics in Hong Kong on July 31st. An extensive collection of Chinese texts related to the struggle is being compiled on the Epoch Pioneer (时代先锋) website, affiliated with the Eight Young Leftists, here and here. Students at several universities have also initiated their own petitions, including: Peking University, Tsinghua, Renmin University, Northwest University of Political Science and Law (and their second open letter here), Nanjing University, and Beijing Language and Culture University. Finally, see this video compiling footage from the demonstrations last week with English subtitles. 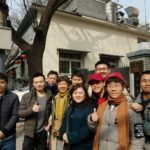 Over thirty people, including [Jasic] workers and people who came to support them, have been held in detention for over 72 hours [as suspects for the criminal charge of] “picking quarrels and provoking trouble.” At this crucial time, we fellow workers and comrades must stand together with them! Together let’s beat back the bourgeoisie with all its arrogant bluster! Comrades, please go to the Yanziling Police Station in Pingshan to stand with the progressive workers of Jasic! Steel your determination, don’t be afraid to make sacrifices, overcome all obstacles, go fight for victory!!! The representatives of the Jasic Workers Solidarity Group, Wu Jingtang, Gu Zhenghua, Fan Jinggang, Zhang Yaozu, Shi Maixie, together with over 1,200 comrades (as for July 29th), call on the broad masses of militants to support the Jasic working class’s struggle for justice!!! Please come quickly to Yanziling! Fight for the cause of justice together with the progressive workers!! 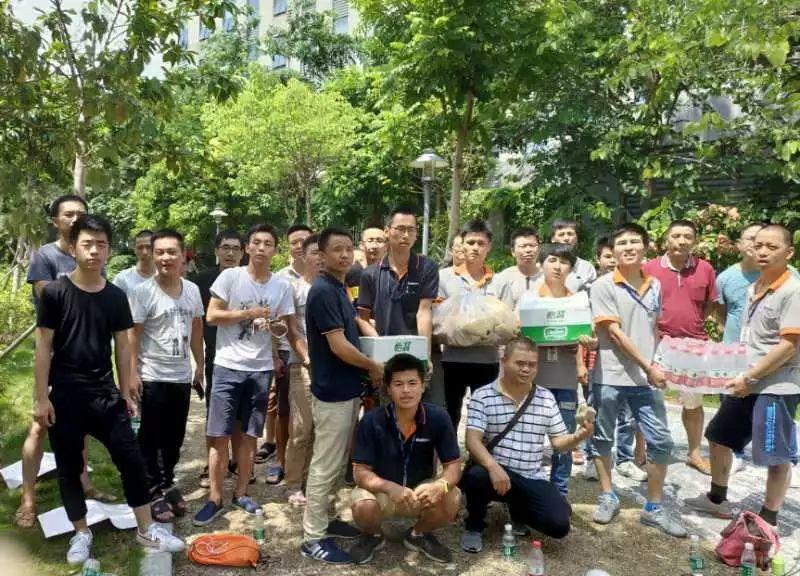 We are the Solidarity Group in support of the workers who organised a union at Jasic Technology in Pingshan, Shenzhen, and then underwent the “July 20th Incident,” where Yanziling Community police violently assaulted the workers. On July 24th, over 1,000 of us contacted Shenzhen’s Municipal Public Security Bureau (PSB) [i.e. police], Human Resources Bureau, Securities Regulatory Commission, Housing Provident Fund Management, and the Shenzhen Federation of Trade Unions (SFTU). We demanded an apology and compensation to the workers, disciplinary action against those who assaulted the workers, and satisfaction of the workers’ demands to form a union and that the company provide back payment for workers’ housing funds. (See the petition below). As the events unfolded, on July 22nd the Pingshan PSB inspector promised a response to the workers by 10am on July 26th, but no response came at that time. Only after the workers contacted him again did the inspector reply, verbally, that the police were not at fault, and that it was the workers who had acted unlawfully. We absolutely cannot accept this. On the morning of July 26th, the workers attempted to go to work as usual, but they were beaten, their mobile phones illegally seized, and their personal freedom restricted by management staff and security guards acting at the behest of the company’s managers Xia Ruyi, Li Hongpo and Guo Liqun. After workers called the police, the deputy chief of the Yanziling Police Station not only failed to do anything about these individuals, but even tried to take workers away. Under the workers’ questioning, the police finally admitted to the principle behind their actions: they have a double standard when it comes to dealing with bosses and workers, respectively. The following afternoon, the workers who had organised the union again attempted to go to work as usual, but the three managers (Xia, Li and Guo) illegally restricted their personal freedom. Mao Qingpei, chief of the Yanziling Police Station, arrived together with officers from the Pingshan PSB. Not only did the police fail to arrest the company officials, but this time they actually detained the Jasic workers along with several other workers who had come to show support. At present we still do not even know where they were taken and if they are dead or alive. At 8pm, the families of detained workers Liu Penghua and Kuang Hengshu, along with some other workers, went to ask for an explanation, but they too were disappeared. 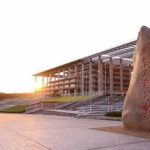 We learned that Jasic Technology’s boss, Pan Lei, and the Human Resources Manager, Guo Liqun, are representatives of the Shenzhen People’s Congress, and Guo Liqun’s husband may be an official in the Pingshan District Government. They have far-reaching connections within the local state. But we want to ask is whether, in today’s society governed by the rule of law, that law applies to government officials, if People’s Congress representatives can disobey the country’s laws and constitution, and if companies managed by People’s Congress representatives can violate the Labour Law and the Trade Union Law? State agencies treat bosses and workers with different standards, acting obsequious toward bosses and viciously toward workers. They see laws as children’s games and commit crimes everyone knows to be wrong. Because Jasic Technology has connections, the district’s Human Resources Bureau, Housing Provident Fund Management, and the Pingshan Federation of Trade Unions (PFTU) all failed to do anything. Is Pingshan District not a Chinese territory, such that the district’s government and companies need not abide by the Chinese constitution and law? Are the workers there not Chinese workers, protected by Chinese law? The first article in the Constitution of the People’s Republic of China states that, “The People’s Republic of China is a socialist state under the people’s democratic dictatorship led by the working class and based on the alliance of workers and peasants.” The working class is the leading class. The country’s authority resides with the people. The government agencies and representatives should serve the people. But what can we see in today’s Pingshan? We learned that most companies there have similar labour violations as Jasic Technology, and that no one cares about workers who are beaten and detained when fighting for their rights by unscrupulous companies and police. Each wave of outrage from public opinion grows stronger, while each wave of police repression against workers who organise grows more intense. Would Pingshan District led by Party Secretary Tao Yongxin dare to publicly violate the Constitution? Is it attempting to challenge the authority of China’s rule of law? To treat the nation’s people as its enemy? We hope Secretary Tao will immediately deal with this, urge the PSB to release the detained workers, and seriously discipline those who assaulted them, compensate for any loss and apologise. We demand the Pingshan government agencies take their roles seriously and serve the people. We demand that companies in Pingshan abide by the law and protect workers’ rights. The Pingshan Government and PFTU should carry out the Central Government’s directives, encouraging workers to form unions and supporting them when they do so, protecting workers’ rights in accordance to the law, encouraging them to actively supervise and participate in management. The representatives of the Solidarity Group, Wu Jingtang, Gu Zhenghua, Fan Jinggang, Zhang Yaozu, Shi Maixie, together with over 1,100 comrades, call on all militant comrades to support and pay attention to the Jasic working class’s struggle! We strongly condemn the violent assault on workers by the Yanling Community police in Pingshan, Shenzhen during a labour dispute with Shenzhen Jasic Technology Co., Ltd., on July 20th, 2018. We demand that the police responsible be disciplined in accordance with the law. (Their names and police numbers are: Pu Guangyan 070935, Liu Weijun 064801, Pang Wukun 067568, and Liu Yingkun 061868.) We also demand a public apology and compensation for losses suffered by the workers. The cause of this incident is that Jasic had been carrying out illegal labour practices, including: last-minute adjustment of employees’ schedules, forced walks during resting periods, an illegal system of fines called “the Eighteen Jasic Prohibitions”, underpayment of employees’ housing funds, and the illegal compilation of a blacklist divulging employees’ information. On May 10th of this year, employees at Jasic jointly registered a complaint with the Pingshan Human Resources Bureau and the PFTU regarding the company’s illegal behavior, hoping they would act in the interests of workers. The Human Resources Bureau did not respond, but two officials from the PFTU—Vice-Chair Huang Jianxun and Division Chief Xie [Zhihai]—replied, stating that the workers could form a union. On June 7th, the workers submitted an application for unionisation to the PFTU and the lower-level Longtian Subdistrict Federation of Trade Unions, and they replied by advising that the employees first develop membership. 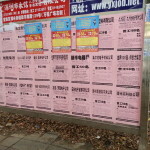 In response to these instructions, the workers distributed an “Indication of willingness to apply to join the Jasic Union”, collecting signatures from eighty-nine of their coworkers. On July 12th, however, Vice-Chair Huang and three other union officials from the PFTU joined with Jasic General Manager Xia Ruyi, Human Resources Administrative Director Li Hongpo and Department Manager Lei in foully berating [worker] Mi Jiuping, saying that Mi and his coworkers had broken the law by organising the union. On July 16th, Liu Penghua, one of the worker delegates who had been involved in organising the union, became targeted by the management. For no reason they transferred him to another workshop. 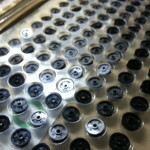 Later Liu was assaulted by two unknown men, who were then escorted out of the factory in a company vehicle. Liu called the police, but they ignored his injuries, called for mediation (反而要求调解) [and actually took him into custody]. Liu’s coworkers followed to support him [at the police station], but he was not released until midnight. On July 18th, Mi Jiuping was similarly targeted by the management. At noon, PFTU Division Chief Xie instructed him to write a statement declaring that [his actions in] organising the union had nothing to do with the PFTU, but Mi refused. That afternoon, [Jasic management] requested that Mi be transferred to another workshop, but Mi refused. A high-ranking manager named Zhu Xiaohuan then had several unlicensed (黑) security guards seize Mi and violently expel him from the factory. Later a third militant worker named Song Yao was strangled and threatened by Workshop Supervisor Ouyang Suoming, and that evening Song too was fired. Neither Mi nor Song accepted this. On July 20th, at about 7:40am, Mi and Liu attempted to go into work as usual, but were stopped by security guards and tossed out of the factory. At 10:30am, they were assaulted in plain sight by the police and then illegally taken into custody. At noon, more than twenty workers came to the police station to support the detained Jasic workers and demand their release. At 4:30pm, a group of fully armed police violently rounded up all the protesting workers and threw them into a police van. Many were injured. We found out online that Jasic Technology is a publicly listed company. Its legal representative and president, Pan Lei, is currently serving as a People’s Representative in the Shenzhen Municipal People’s Congress, as a member of that Congress’s Committee on Foreign and Overseas Chinese Affairs, and as a representative in the Longgang District Political Consultative Conference. Jasic’s Human Resources Manager, Guo Liqun, is also a current People’s Representative in the Shenzhen Congress. It is not hard to imagine, then, why so many agents of the local state not only failed to defend the workers from Jasic’s illegal activities, but even joined in on the repression. (1) The Yanziling police intervened in a labour dispute and violently assaulted workers, causing significant harm to them and a negative social impact. They should be seriously disciplined in accordance with the law, and they should compensate the workers for medical costs and workdays lost, sincerely apologise to the workers and society, and vow to carry out their duties under the people’s supervision. 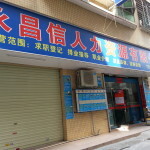 (2) The Pingshan District Human Resources Bureau failed to respond to the complaint of the Jasic workers, failing to play a positive role in the labour dispute, a serious dereliction of duty. Please handle this in accordance to the law. The Human Resources Bureau should rectify its mistakes, actively mediate labour disputes and support workers’ defense of their rights. The illegal dismissal of workers should be immediately rectified, and the workers (Mi Jiuping, Song Yao and Yu Juncong) allowed to return to work. (3) PFTU Vice-Chair Huang Jianxun and Division Chief Xie Zhihai failed to helpfully guide workers in the process of organising a union, failing to stand up for them and distancing themselves from the workers at key moments. According to the Trade Union Law, employees have the right to establish a union. Both the process of forming the union and the union’s later operation must be democratic. The company must cooperate and higher levels of the union system must actively provide conditions to support the workers. Huang and Xie seriously violated the law and neglected their duty, so they should be investigated and dismissed. The right of workers to exercise union democracy and form unions democratically should be restored. (4) To the Shenzhen Securities Regulatory Commission, as a publicly listed company Jasic not only lacked a [functioning] union but also obstructed the workers from forming one, and the committed multiple legal violations with a negative social impact. According to how a publicly listed company is regulated in terms of protecting employees’ interests, please investigate Jasic to determine if it meets the requirements of publicly listed companies, and then publish the results. (5) To the Shenzhen Housing Provident Fund Management, please check to confirm whether Jasic’s housing fund contribution is paid in full or underpaid. In order to truly protect the workers’ rights, we hope the relevant authorities in Pingshan District will take action and rectify Jasic’s various unlawful activities. We will closely monitor this incident’s development until all is rectified.